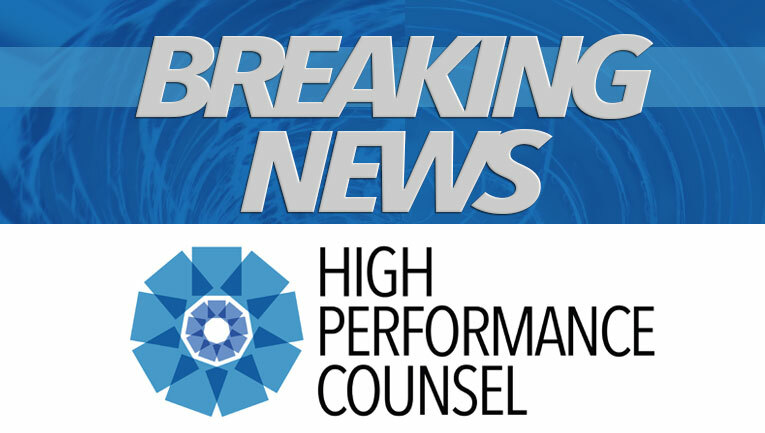 HIGH PERFORMANCE COUNSEL features the individuals, organizations & solutions driving the next decade of innovation in law. HPC Legal WIRE is the legal industry's newswire delivering news & media coverage for the legal industry - a service of HIGH PERFORMANCE COUNSEL. Note: Content publication does not indicate or imply any endorsement on the part of HIGH PERFORMANCE COUNSEL MEDIA GROUP, LLC.